This level is much hard and you need to be careful with timer bomb to reach requirement. First try to break all timer bomb then play from bottom or near to blockers to break them with jellies or use special candies. 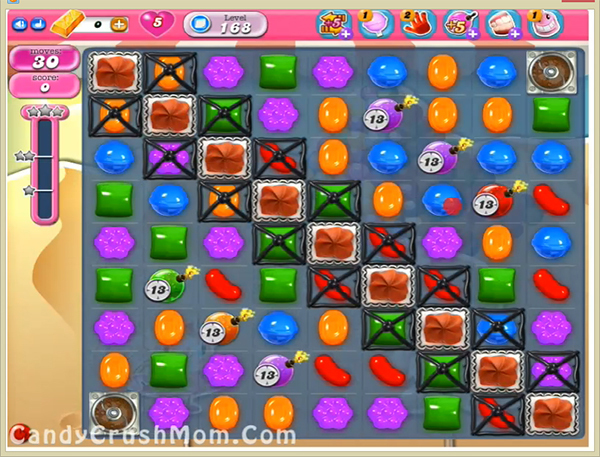 You might need colorbomb for this level and try to use colorbomb with striped candy to reach requirement easily. We completed this level with 120880 score using few special candies that help to reach requirement with three star score at the end.